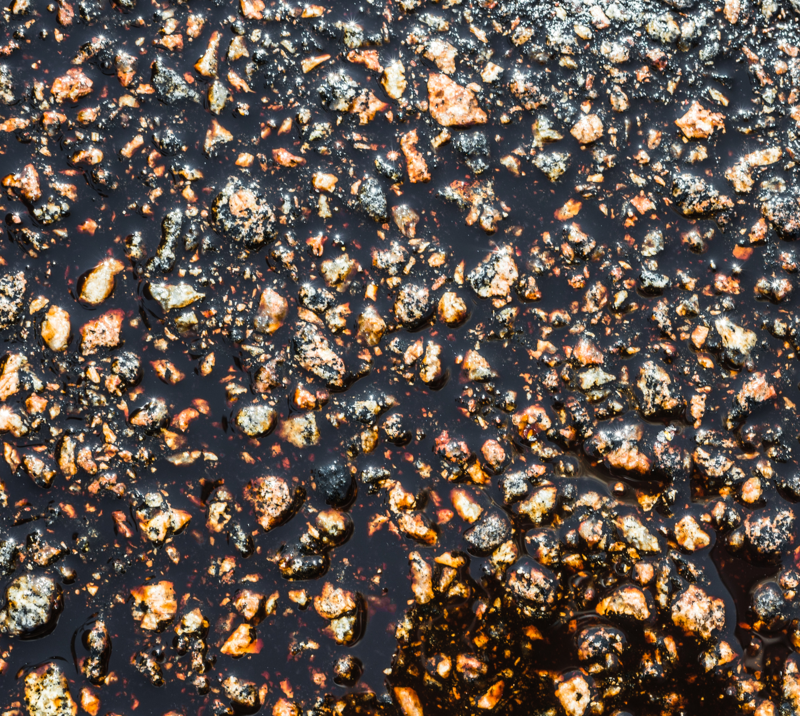 Therese R. asks: Is it true that there is a substance seeping up from the ground on a road in Venezuela that no one can identify? First appearing in 1986 on a highway between the city of Caracas and its airport, La Mancha Negra, meaning literally a black stain, began as an approximately 50-yard (46 meter) long smudge, seen by highway workers who were resurfacing the road with asphalt concrete. Ultimately the spot grew to cover about an 8 mile (13 km) stretch. In 1991 it was widely reported that the slippery goo had caused over 1,800 deaths and countless other injuries. So what is it and is it still there today? Many hypotheses have been proposed over the years as to the cause of La Mancha Negra, such as that it’s the result of raw sewage from slums that line the road, with the idea being the sewage runs downhill and under the asphalt where it mixes with the compounds in the road, breaking it down and producing the slippery, chewing gum like substance. 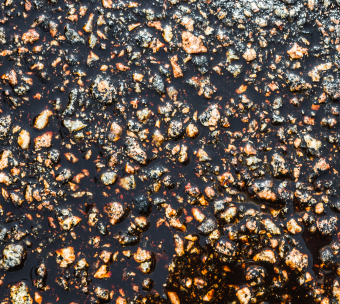 Another popular theory is that oil and other fluids from old, rickety cars produce the goo when mixed with the dust of the roadway. Conspiracy theorists proposed it’s an intentional, regular sabotage by certain political powers to turn the public against the government leaders. Authorities reportedly tried a number of remedies in the mid-1990s to remove the goo, including pressure washing it with detergents and simply scraping the goo off in layers. All attempts to get rid of the substance were reportedly in vain, though it’s noted that each attempt made a hefty profit for the company in charge of the removal of the substance and there was some question as to how hard they were actually trying. As a last ditch effort, authorities finally decided to dump pulverized limestone on the goo to “dry it up”. It seemed to work for a while, although it produced an unwanted consequence – the limestone was so dusty that it supposedly severely hurt the air quality along the road for local residents for a while after application. So what’s the real cause of La Mancha Negra? It was widely reported at the time that authorities spent “millions” trying to figure out what the substance was, but this doesn’t seem credible. While it is possible that millions of government funds disappeared in the name of solving the problem (given the rampant corruption in the Venezuelan government at the time), no direct evidence of any such studies seems to exist anywhere. Further, if any studies were done, it would not have been expensive or difficult to determine if the substance was the result of some sort of asphalt / human excrement mixing. It likewise would have been equally simple and cheap to determine if it was car oil mixed with dust or the like or any number of other likely substances. The widespread report of “1,800 deaths” caused by the slippery road have also never been substantiated by a credible, direct source. One would think that an eight mile stretch of road covered in a slippery substance would have a higher rate of car accidents than a normal road, but 1,800 deaths between 1986 and 1991 over that short stretch of road that everyone knows is extremely slippery? That’s an average of about one death per day. Even if the road was literally covered with ice, this would still be a questionably high number. Lacking any actual evidence to support the claim, and the news media wont to exaggerate such figures, color me skeptical. Further lacking anyone bothering to study the substance, the two most plausible causes of La Mancha Negra are, first, that it’s just natural asphalt/bitumen seepage. You see, Caracas lies next to the Orinoco Belt, which contains one of the world’s largest deposits of petroleum. Such seepages are not unheard of in the region- for instance at the asphalt lake, Lake Bermudez, in Venezuela, where oil seeps to the surface and becomes asphaltic thanks to good conditions for oil-metabolizing bacteria to thrive. The second, perhaps even more plausible, hypothesis is that the La Mancha Negra phenomenon is simply the result of using poorly mixed asphalt concrete when constructing the road. This second hypothesis is supported by the fact that the goo in question seems to have the properties of tar (chewing gum consistency, but quite slick in certain conditions) and that the problem gets much worse on hot days and goes the other way on cool days. This same phenomenon is commonly seen with improperly mixed asphalt, generally when too much asphalt is mixed in with the aggregate. Given the lack of news reports of this still being an issue (at least that I could find; if you happen to be from Caracas and can provide more insight please do in the comments below; Google Translate can only get you so far when looking for news reports in a language you don’t speak :-)), it seems likely from the limited data we have that improperly mixed asphalt used in resurfacing the road in 1986 caused the problem. And as for the fantastical claims of that it’s a “substance humans can’t identify,” this is more than likely simply because humans never tried. What is the Mystery Goo That Killed Seabirds in the Bay Area? The only reason why Chavez’s government “fixed” that road was because the landslide that occured in that area in 1998 (killing more than 30,000 people) left it under quite a few feet of mud. This means that the mancha negra was buried and not “fixed”. A new road was built over it.